I’m sad to say, that after the past school year I have become out of “swimming shape”. Some of my closest friends could probably tell you that at one point we were all in the pool, every morning, as a pseudo swim team, swimming miles a week. It was quite the bond that we all had together, and there wasn’t much that could keep us from making it to “practice” each day. 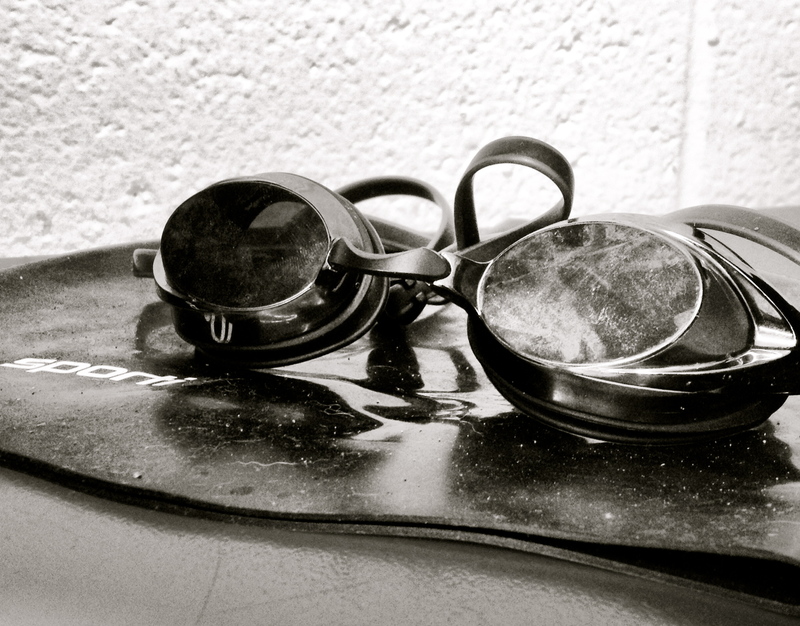 It was almost a therapy for us to all jump in and push harder each day than the last to perfect a stroke, breathing technique, or adding yards. Were we aspiring to compete? No. Were we aspiring to be the best? No. We were simply aiming for better. After I moved, I became handicapped by the fact that I didn’t have the powerful motivation of my pseudo team any longer. 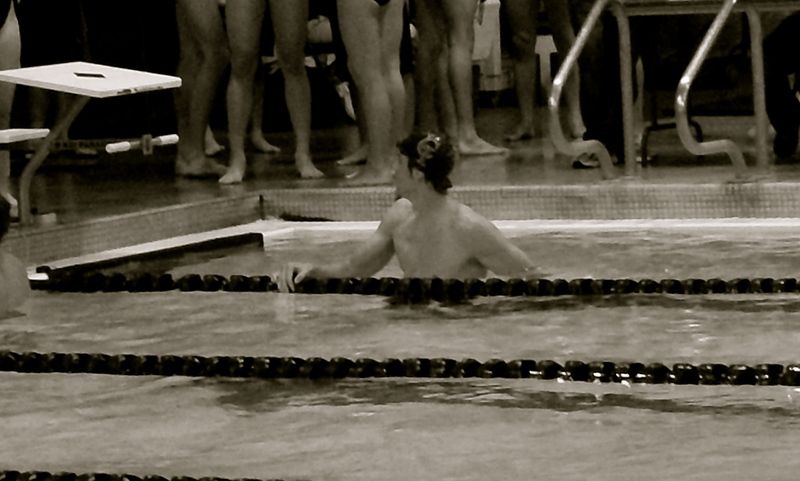 I was solo…except for the handful of collegiate and club swimmers joining me during lap swim. I couldn’t handle the intimidation and I floundered. As a result, I have been in the pool twice in the past 10 months. Something that was once such a large part of my life was suddenly on the back burner, covered in dust. Well, the time has come to stop hiding behind my intimidation, shut my ego down, and get back on the road (or lane, I should say), to scratch off #11 from the bucket list. 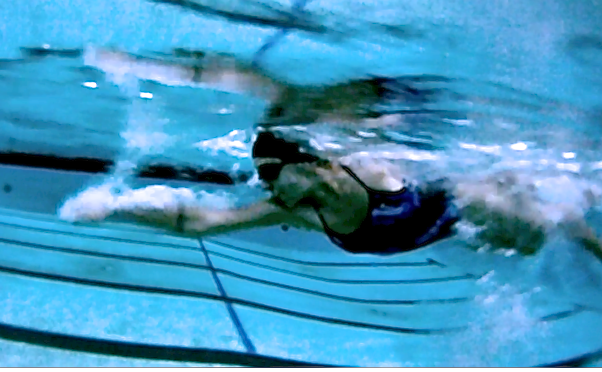 I got back in the pool for the first time yesterday, and it took a lot of strength to do it – I was afraid to face how I was no longer the swimmer I used to be the previous year with the team. Regardless, I did it. I had completely forgotten what a peaceful and quiet place the water is to be in. Diving, flipping, and pulling through the water is so euphoric. I didn’t realize how much I needed it until I felt so many reflections, pressures, and unnecessary anxieties leave me through my wake. 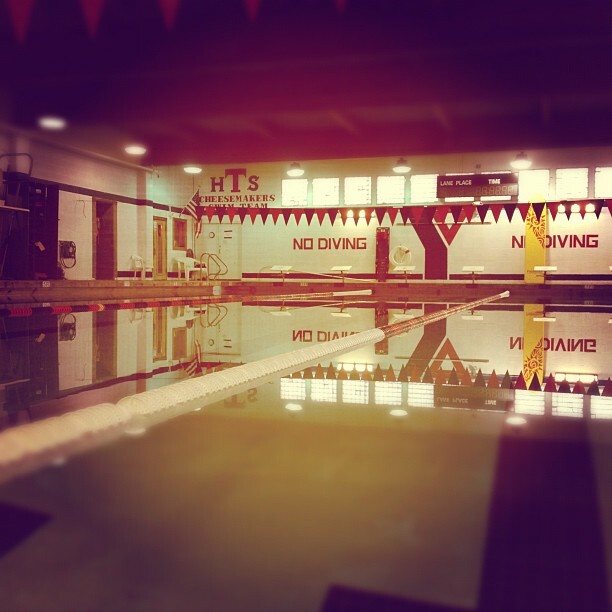 For just a short time, I remembered why swimming was once such an important passion of mine, why it was therapy, and why it was so necessary in my life. I was dumbfounded as to why I had neglected it for so long. Even though I didn’t even make it a mile, I am now confident that I will quickly achieve my new “better” and beyond. Watch out #11, here I come. Finally, this post wouldn’t be fair or adequate if I didn’t give some well-deserved credit to my swimming inspiration – Casey. Even though he wasn’t physically there with us all in the water, Casey was the official guru to swimming. As a 10+ year competitor, a collegiate champion, a multiple-year National Qualifier, and a triathlete, Casey’s wealth of knowledge and advice was worth its weight in gold. I could never have made it nearly as far as I did without him as a mentor. I’m looking forward to sharing with everyone my progress of smashing #11, and subsequently #6 and #10 as well!! By request, here are some of the workouts we did during our days in the pool together. If anyone needs help translating some of the shorthand in the workouts, shoot me an email!